Former light heavyweight champion Andre Ward thinks Errol Spence is too much for Mikey Garcia to handle when they fight in Dallas tomorrow night. One of the most highly-anticipated boxing bouts of the year goes down tomorrow night (Sat. March 16, 2019). 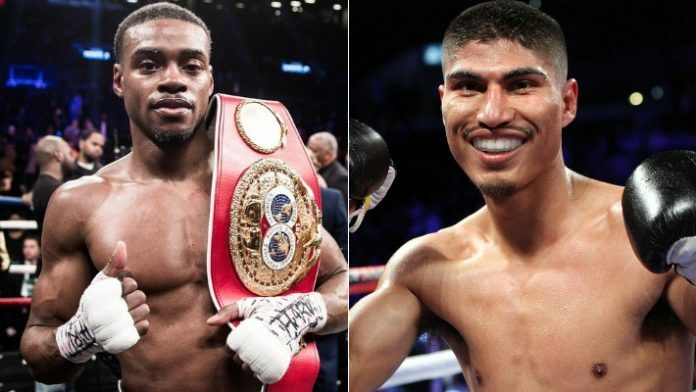 IBF welterweight champion Errol Spence Jr. defends his title against WBC and former IBF lightweight champion Mikey Garcia. “The added weight and sheer size and power of Spence will prove to be too much for a great fighter who just took too much of a risk,” Ward said. The size difference between Garcia and Spence has been a lasting concern amongst the boxing community recently. Spence is a proven knockout artist and one of the pound-for-pound best fighters in the world. Of his 24 career wins, 21 have come by way of knockout. Garcia also definitely brings power to the table. Of his 39 victories, 30 have ended with a finish. However, considering he’s jumping up from 135 pounds to 147 pounds, the power advantage will certainly be in Spence’s favor. How do you see Spence vs. Garcia playing out tomorrow night in Texas?